Visiting Rhinos by foot in Uganda is one of the compelling “added to the list” rhino tracking en-route the most bio-diverse and largest national park in Uganda – The Murchison Falls National Park. Rhinos in the country were wiped out in 1991 when the only surviving Black Rhino was poached up-north of Uganda in a remote wildlife reserve of Kidepo Valley National Park. Right now Rhinos can only be found in the Uganda Wildlife Education Center UWEC) found in Entebbe and too at the Ziwa Rhino Sanctuary in Nakasongora as it were. The sanctuary being located on the highway to the Murchison falls National Park and Kidepo Valley National Park, has give the satisfactory stop and chance for tourists to Kidepo Valley National Park or Murchison Falls National Park to en-route track the rhinos before they proceed. The Ziwa Rhino Sanctuary is found 7kms off the Kampala-Gulu Highway to the sanctuary headquarters and gives an awesome chance to tourists to encounter one of the Big 5. 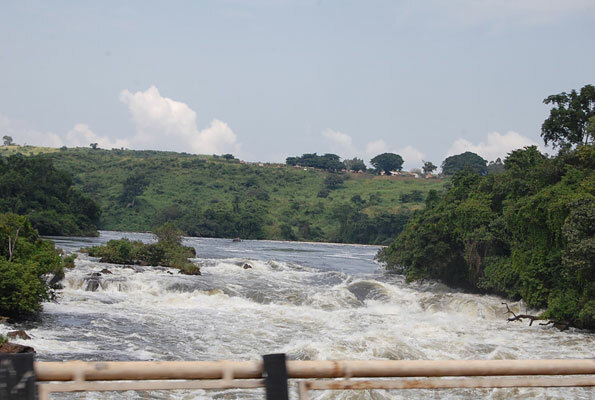 The sanctuary is found in around 180 kilometer by road north of Kampala the capital of Uganda, its located in Nakasongola district in Kafu River Basin it is possible to use a rental car from Kampala. In spite of the fact that most tourists visit the sanctuary in guided tours, it can also be visit by self driver tourists by hiring a car in Kampala. In case you are on self drive tour or road trip in Uganda, you can hire a vehicle in Kampala from one of the many car rental agencies in the country and head north to visit Ziwa Rhino Sanctuary for rhino tracking. The re-introduction of Rhinos in Uganda is now in 3 phases to later have these endangered animals fully in the Uganda wildlife parks. 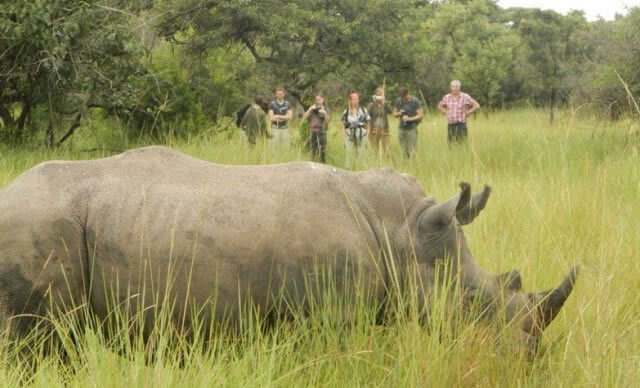 Managed by NGO – The Rhino Fund Uganda is a non-profit organization that initially introduces two Rhinos in the UWEC and later extended by obtaining a 70squar kilometers land in Nakasongola district 180kms from Kampala. Right now the organization is on second phase of breeding rhinos and is pleased to have 11 new born in the sanctuary after 25 years. The first Rhino was introduced from The United States and later got another from Kenya and guess what? The off spring was named after the president of America with a Kenyan background OBAMA. The other groups were obtained from South Africa and Kenya again which right now make 14 rhinos in this sanctuary and have lost only one young rhino since the breeding season. The Last stage will be the re-introduction of these rhinoceros into their natural habitats which are Uganda’s National Parks like Kidepo Valley National Park, Murchison Falls Nation Park, Queen Elizabeth National Park and others. In spite of the fact that the loss of natural habitats still remains an issue and viewed as a threat, poaching is the main threat of these animals conservation in most African nations and East Asia. Rhino poaching is fueled by the high demand of rhino horn in china and Vietnam as a traditional medicine and consequently the Locals are utilized and paid much money to get hold of these Rhino horn. It is not a surprise that the rhinos at Ziwa Rhino Sanctuary are monitored 24-7 with armed guards around them. A day visit at Ziwa Rhino Sanctuary starts with payment of the $45 at the headquarters and later doled out a ranger guide who will brief you about all the history of the sanctuary and even the rules you have to fallow when you with the rhinos and later take you into the jungle to track rhinos. You advised to carry water proof boots goes with a reason that the sanctuary lies in an extension of a swamp and sometimes these rhinos are close water sources. And always you are required to drive two or three kilometers within the sanctuary before you start tracking on foot. Rhino tracking activity always take from 40minutes to 1hour and takes you through the rich green canopies and acacia dotted trees that would expect you to carry Insect repellents and sunglasses. In case you to spend a more days here, there are other activities you can enjoy in the sanctuary including, night nature walk with a chance to spotting leopards, the shoebill canoe ride and also bird watching with the sanctuary. To put it clear most of the money paid is for the protection of the Rhinos and community development projects. Sipi Falls is a series of three waterfalls the district of Kapchorwa, northeast of Sironko and Mbale in the eastern part of the country. The waterfalls are found on the edge of Mount Elgon National Park close to the Kenyan border. In most cases the falls is the starting point of most hikes up Mt. Elgon. The most famous route begins in Budadiri and takes after the Sasa trail to the summit and afterward dives down the Sipi trail again into the Sipi Falls. 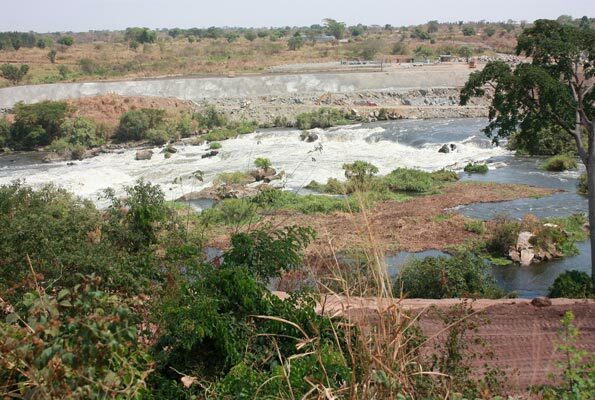 Climbs around the falls offer amazing views of Lake Kyoga, the Karamoja plains and the slops of Mt. Elgon. This trip to Sipi Falls you will need a long weekend. You’ll see absolutely new human and physical geography, and it really gets cold at night! You will have to book your accommodation in advance before you travel. My best budget accommodation in the area is The Crow’s Nest. Be that as it may, I generally remain at Lacam Lodge, the strong mid-range option. Its calm, has perfect multi-course meals, and sits ideal over the main water fall. On Friday you will have to leave Kampala at around midday in case you’re on self drive trip and in case you going to use public transport, you will need to put in Bus Park at around mid morning and board YY coaches, they leave Kampala almost every hour to all places of the country. The buses are comfortable and they have Wi-Fi. They park in Qualicel Bus Terminal in Kampala city center. The drive from Kampala to Mbale is approximately. Once you will reach in Mbale town you board a Taxi to Kapchorwa and from there it’s about 1 hour drive, Sipi Falls. All lodgings are signposted of the main road and are easy to find. There’s hardly any going ahead in Sipi, so you’ll likely have dinner and drinks at your lodge. In case you reach in the afternoon, it’s absolutely worth a walk. Saturday: Ask the reception at any lodge where you spent the night and they organize a half or full day climb through the falls. Nor are more than a scramble, and you don’t need to be fit, yet you do need to organize a packed lunch in case you choose a full day option. Need somewhat more thrill? Get some information about the abseiling. Appreciate an evening with drinks and astonishing sunset over the valley below. Sunday: Coffee tour. Still you can ask at the reception how to can enjoy a coffee tour, Sipi Falls area is the main coffee producing area in the country. Starbucks sells it. Here you will get a chance to go through the whole process of making coffee from garden to cup. You even get the opportunity to grind your own beans toward the end. In case you’re a coffee drinker, don’t leave this place without buying espresso beans. After you return to the lodge for lunch and then hit the road back to Kampala. Many of us have seen gorillas before caged in the zoos but we have never seen them in their natural setting all free to do and move in which every location they may want to. It is an epic experience to see gorilla up close in their natural environment. This is only made possible if you visit Africa. Africa is the only continent on earth with the gorillas in their natural setting and this makes an outstanding place to enjoy the gorillas at their best behavior while in the jungle. Gorillas are not spread all over Africa; they are found in a few places of Africa that is across the tropical rain forest region of west, central and East Africa. Gorillas are divided into two species of western gorilla and eastern gorillas, and later subdivided into four species where the western gorillas have the western lowland and the cross river gorillas, and the eastern gorillas have the eastern lowland gorillas and the mountain gorillas. These gorillas are classified by the location and physical nature of their habitats. We shall not go into details of each and every species of gorillas, lets emphases on the experience of visiting the mountain gorillas because with them we can make a tourist/visitor watch them in their natural setting. Mountain gorillas are only found in Rwanda, Uganda and the Dr. Congo. The first 2 destinations are most popular for gorilla trekking tours, while the later is experiencing some political instabilities that hinder the development of gorilla tourism in the country. Most travelers prefer to track gorillas in both destinations, and there are many gorilla tour packages with such arrangements such as the 5 day gorilla trek Uganda package, takes you to both Volcanoes National Park Rwanda and Mgahinga or Bwindi Impenetrable National Park in Uganda. Mountain gorillas are endangered species under the red list of international union of conversation for nature (IUCN). This implies that mountain gorillas can get extinct if conservation efforts are not made. There are less than 900 mountain gorillas in the world. The population also validates the mountain gorillas being endangered species. We shall not keep on mourning on the damaged caused by the past generation of decreasing the mountain gorillas let’s focus on the future. Seeing the gorillas up close is one of conserving the gorillas since the money paid to meet the mountain gorillas goes to the conservation efforts and work. Gorillas can be seen up close mostly in Bwindi impenetrable national park and Mgahinga gorilla national park in the southwest of Uganda and the volcanoes national park in the northeast of Rwanda and Virunga national park in DR. Congo is not a popular destination due to the past insecurity that was taking place but now it is in progress to be a perfect place to watch these gentle giants. The experience of tracking gorillas in the African jungle in these wonderful national parks is an exhilarating one. 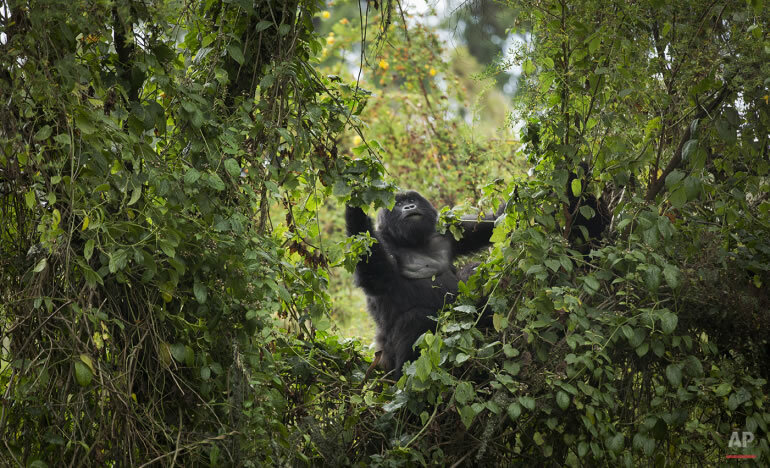 It takes the tourists 2-6 hours to find the mountain gorillas in their natural environment as they have to walk through the forest of Virunga or Bwindi to see the gorillas and these creatures are nomadic animals that move from one place to another looking for food and shelter. But the challenge the gorilla trackers go through is forgotten when come up close with the gorillas. Gorillas are huge creatures that weigh around 160 kgs and stand 150 cms in height but very peaceful and interesting animals to watch and interact with. Gorillas have special social characters that are displayed among themselves that leave very many visitors mesmerized; that is, the way they take care of their young ones, their communications, their ability to use tools like branches of trees for protection and also gather food and also the respect their give to their head of the family the silverback. Apart from watching, the gorillas do their social magic, the trackers are also able to take beautiful photos and record videos. The experience of seeing the gorilla up close is a lifetime one, so plan for your gorilla vacation and come visit the mountain gorillas in their natural setting. There are very many online tour operators that organize gorillas safari trips in Uganda and Rwanda. Book your gorilla permit before they are sold out since they are always on high demand. In Uganda, each gorilla permit costs US$600 for Foreign Non residents, US$475 for East African Foreign Residents and 250.000 Uganda shillings for Ugandans. Further more, Uganda has promotional permits in Low seasons every year (April, May and November), where each gorilla permit costs US$450 for foreign non-residents. However, you should contact your Travel agent or Uganda Wildlife Authority for validity every year. In Rwanda, a gorilla trekking permit costs US$750 for foreign non-residents, US$450 for foreigners living/working in all East African countries excluding Rwanda, US$375 for foreigners working / living in Rwanda and 30.000 Rwanda Francs for Rwandan residents. In today’s world you can’t very safe, particularly when travelling. Regardless of where you come from or No matter who you are, the risk may even now hide around the corner. Here are prudent steps you can take to stay safer on a trip when travelling alone. Firstly, you should not get attracted to cheap travel packages and discounts. Make sure you book your accommodation and travel tickets through a trusted and dependable travel company. Still you can request references from friends and also check on the travel agent you’re hopping to use on the trusted review websites like TripAdviser, Safaribooking.com and others. It’s also advisable to move with some small sharp things like small blades, a pair of scissors, cutters and a paper spray can also be helpful for self deface. If you have a larger plan or travelling around the world alone, some basic self defense training can also be helpful and strongly recommended. In every country across the world, there some different theft prone areas and it’s strongly recommended that you get search for information about the area you’re going to travel to and avoid such places. And also avoid moving with valuable things like earrings, gold necklace, mobile phones and other things when travelling around these are because they can attract thieves. You can get all information about the place from the local people, your hotel staff and even from local travel agents. Always try to travel by a hired vehicle from a trusted car rental company and immediately share all the information about your travel, the travel company you used, the registration plate of the vehicle and the name and mobile number of your drive with the trusted friends. Try as much as you can to avoid meandering in unknown or shady streets even in the broad day light, let alone at the evening hours regardless of the possibility that you have a company of some people. Follow your instinct to spot these areas from the tourist friendly hangouts. It’s also advisable that you share the details of the local travel agent you used, the room number and other information about the accommodation you used before settling in and also don’t forget to ask the name and mobile number of your the local travel agent for emergency. It’s also highly recommended that you don’t trust strangers who appear to be good to you, like those giving free food, free ride to your destination because these people can be pretending when they want to do something dangerous to you. So you should avoid free things from strangers when you’re on a trip more especially in a foreign country. You should also always be Alert. Whenever outside, look at people without flinching while walking and avoid being excessively dependent on your Smartphone as it reduce your readiness in case of emergencies and its self attract thieves. Walk into the nearest shopping mall or café in case you’re confused for directions. As it’s been said, better to be safe than sorry!! It’s Fun: Is about fun. It is about explore any destination you want, when you want with those that you love. That moment when you’re behind the wheel driving yourself around the country and visiting any place at any time. Standard daily charges: Our daily car hiring cost is all inclusive. (There is NO HIDDEN CHARGES). Quoted costs are inclusive of all government taxes. Once you pay for your vehicle, you just wait and pick it then drive to anywhere you want. Unlimited Mileage: Unless when you hire the car for some hours and when the quote is includes fuel that is only when we limit you on the kilometers you drive. But if you’re hiring the car for a minimum of one day we give unlimited mileage this gives chances of unlimited discovery of the country at no additional cost. No Drop off Charges. We don’t charge extra costs for pick up and drop off and you can drop the car at anywhere and it will be our responsibility to pick it. In most cases drop off and pick up is done at the airport or at the hotel even at your place of residence. You will not add on extra money paying tax to take you back home because we will pick the car at your home and even on the first day we will bring the car to you. Safety and Security: When you hire a vehicle with Rental Cars Uganda Ltd, you’re assured that you got a perfect car which is well serviced and in a good working condition. All our vehicles before we give it to the client, it is subjected to intensive check to guarantee that tyres are of the right trend, all car electronics including tracking system, car alarm and central local system are working. We guarantee that the lights are set perfectly and working. Every single rental auto accompany save wheel. So we ensure that your safe on the road and we also offer 24/7 assistance. True serenity – All our vehicles come with a comprehensive insurance subsequently you are guaranteed that in case of an accident and damage to third party you are secured. However please keep to the speed limits as you are not ensured of survival in case of an accident. Comprehensive insurance takes care of the passengers in the vehicle yet not the driver. Continuity in case of major break downs, we will send you another vehicle in the shortest time possible. You simply have to call our office tell us about the problem and if the problem is minor we can just send a mechanic and or we can direct you to the nearing garage and all the money you use will be refunded to you on the last day. Flexibility – You can change your rental arrangement in the middle the rental. For example you can extend your rental by just calling and informing us earlier like one day before the last day. One Way Rental/ Rent Here Leave It there: You should not be worried of where to drop the car in case you choose to change your drop off location, we can pick the car anywhere at no extra cost. For example, you can hire a car in Kampala and drop off in Mbarara or Katuna boarder in case you want to cross and continue to another country, you can even pick the vehicle at the airport and drop it off at your hotel. And even when you want to cross the border and enter another country with our vehicle, we can give you its papers and cross without any extra charges. For all information about car hiring cars in Uganda and some neighboring countries, you can read more on our website www.rentalcarsuganda.com or contact our experienced and knowledgeable information team on info@rentalcasuganda.com OR Call the office on +256392000835. They are commonly found in Uganda, Rwanda and Democratic Republic of Congo is a very dark. L’hoest Monkeys are richly colored animal with a pure white chin ruff framing on the face and white patches under their eyes. L’ hoest Monkeys are also called Mountain Monkey. Males L’hoest monkeys are larger than the females and have bright mauve testes. The leave and move in troops of about 17 individuals dominated by females under the leadership of two adult males. L’hoest Monkeys feed on leaves, seeds, flowers, fruits and insects; occasionally will eat bird eggs, lizards and even small birds. The number of L’hoest monkeys is declining due to poaching, deforestation especially in Democratic Republic of Congo where they are hunted for meat. Therefore, it is true to argue that the L’hoest monkey is facing a high risk of extinction in the wild. In Uganda, L’hoest Monkeys are found in Kibale, Kalinzu and Kalinzu which are medium altitude forest. In Rwanda, L’hoest monkeys are found in Nyungwe forest and Kahuzi Biega National Park in Democratic Republic of Congo. Colobus are large monkeys with a head and body length longer at 78cm. Fur is black with white or greyish whiskers and epaulettes and a white tail. There is no thumb or greatly reduced. Newborn infants are pure white, obtaining their adult markings by 3 – 4 months. Colobus monkeys live in African forests and move in troops of 3 – 15 members, while the red colobus live in larger groups with many males. They rarely come to the ground, but they do it occasionally to pick up fallen fruit. Black – and – white colobus monkeys feed on both young and mature leaves, but they also eat fruit, flowers and woody twigs. In Uganda, they are found in Bwindi Impenetrable National park, Semiliki National park, Kibale forest National park and in Rwanda, they are found in Nyungwe Forest National park with a semi-habituated troop of 400 species. 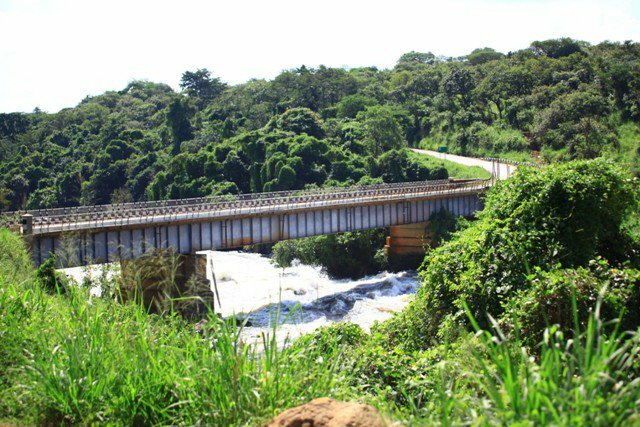 Bwindi Impenetrable National Park is about 530 km from Kampala which takes between 8 to 10 hours’ drive to complete the journey. This puts the tourists taking a Uganda safari to see gorillas at a point where they will have to spend an overnight near the park to go gorilla trekking next day morning and then plan the return journey the day that follows. Even if they opt to fly, the gorilla trekking encounter starts at 8am and no flight that arrives in Bwindi before that time. This means that you ares till required to spend a night around the park. Spending an overnight in Bwindi is something the tourists to Uganda for gorilla tracking in Bwindi forest always take key note of. This comes with the lodge selection which is also influenced by the level of travel budget. The Gorilla Sanctuary, also known as Gorilla Forest Camp is located in the Buhoma Area which is the daring region for gorilla trekking activity and it is re-known as the pioneer region of this activity in Bwindi Impenetrable National Park, thus most travellers planning to do a gorilla safari to Uganda tend to opt for it though the competition for gorilla permits tend to leave out the majority. Located at close distance from the Buhoma Park entrance inside the Impenetrable Forest, Sanctuary Gorilla Forest Camp offers top notch overnight accommodation to upmarket world travelers. Its Accommodation is offered in a range of eight luxury tents which are very spacious and stylish with each tent having two queen sized beds, in supplement to the warm beds, the rooms feature huge bathtub looking into the impenetrable forest ideal for soaking the tired muscles after a daylong gorilla tracking experience. Sanctuary Gorilla Forest Camp has impressive forest views and an ample open place and a lounge in a very calm environment only interrupted by the songs of birds and mountain gorillas that occasional visit to the lodge. You need 3 days and 2 nights to complete a 3 days Uganda gorilla safari with a single gorilla trek. 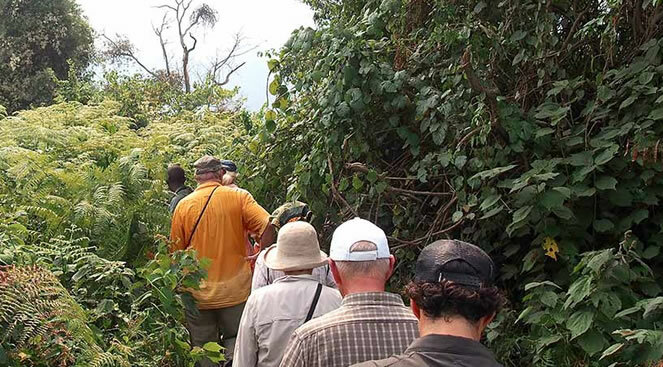 If you need more than one trek, then you need more than 3 days, for example, some tourists want to do 2 gorilla treks, we call it double gorilla tracking, where you visit two different gorilla groups. Below is a typical 3 day flying gorilla safari to see gorillas in Bwindi Impenetrable forest and and stay for 2 nights at Gorilla Forest Camp. If you want to see the gorillas in the wild (In their natural habitat), it means you must fly to Africa, the only place one can see the mountain gorillas in the wild. According to the gorilla census 2011, there are only 880 mountain gorillas left in the whole world, and this population is found in Uganda, Rwanda and Democratic Republic of Congo. However, gorilla tourism in DR Congo is less developed due to political instabilities. As you plan a holiday to see gorillas in the wild in Bwindi forest, start with identifying your intended travel dates. After that, then check for availability of International Flights from your home country to Entebbe International Airport. If the flights available fit your intended travel dates, please go ahead and make tentative booking. The next step is to check for availability of gorilla trekking permits through local Travel Agents / Tour Operators or you can inquire and book direct through Uganda Wildlife Authority in Kampala. If you happen to find gorilla permits available on your preferred dates, please go a head and confirm your flights. In case you happen to find no permits, better you find alternative dates. The demand for gorilla permits is very high throughout the year. One is thus advised to book early at least 2 months in advance. Further more, you should get availability of rooms at Gorilla Forest camp in Buhoma area of Bwindi Impenetrable forest. If you find no space, there are other gorilla trekking lodges around Buhoma such as Mahogany Springs Lodge, Buhome Lodge, Gorilla Resort and Bwindi Forest Lodge among others. Then you must book a regional flight in advance from Entebbe Airport to Kihihi Airstrip, and there must be arrangements for transfer by road from Kihihi Airstrip to Gorilla Forest lodge. We have both daily scheduled and private charter flights operating along this route. Scheduled daily flights are offered by Aerolink Uganda Limited, while Private Charters are offered by Kampala Aero Club and Eagle Air. Tour Operators can help you will all arrangements like booking permits, accommodation and flights. At this moment, we assume that all bookings are confirmed and it,s time to fly to Entebbe International Airport. If you booked through a local tour company, you will find a representative from that company waiting for you at the airport. Usually they carry a placard bearing your name. To get this, you should inform the Agent about your arrival date, time and flight number. Local based safari companies usually offer free airport transfers to guests, or at a subsidized cost. If you made private arrangements without involving a tour company, then you need to organize for airport transfer to your pre-booked hotel around Entebbe International Airport. Depending on the flight you booked, get ready to fly from Entebbe Airport or Kajjansi Airstrip to Kihihi Airstrip in Western part of Uganda. It is less than 60 minutes flight. At Kihihi Airstrip, you will find a safari vehicle awaiting for you, and then drive for 90 minutes to Bwindi Impenetrable National Park, arrive in time for lunch at Gorilla Sanctuary, relax in our cottages as we wait for evening entertainment from the Batwa people (Local community). Gorilla Forest camp is some times visited by mountain gorillas. The next day is for gorilla tracking adventure, get up early for heavy breakfast walk to the park headquarters for a briefing about the trek. You will be divided into groups of 8 persons maximum and assigned to a gorilla group. 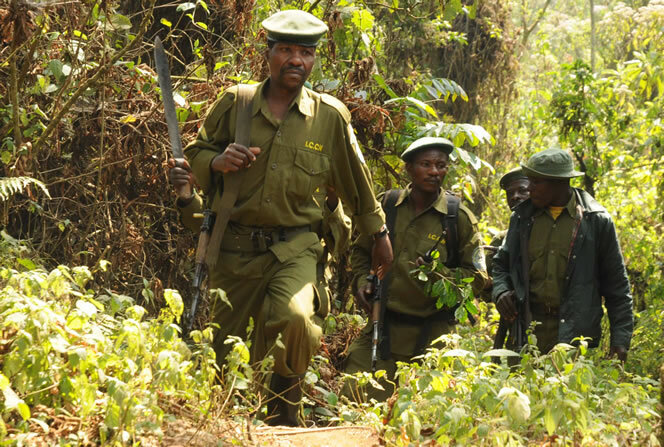 Start a guided walk in accompaniment of armed rangers, trackers and park guides. Depending on the movement of the gorillas in the forest, the trek can take between 1 and 7 hours. Its quiet strenuous and a certain level of fitness is advised. Sight and stay with gorillas is one hour, take photos and videos with gorillas. You will be receiving advise and guidance from the guide in the whole process. After the trek, descend to the base, have lunch and take a forest walk if interested. Dinner and overnight at Gorilla Forest Camp. This is the 3rd day and your last day in Bwindi Impenetrable forest. Have breakfast and hit the road back to Kihihi Airstrip, then get a plane to Entebbe International Airport for your onward flight or for lunch and dinner at your hotel around Entebbe or Kampala. Tourists can spend the entire day with the 1,500 chimpanzees and 12 different species of primates there. The Chex (Chimpanzee Habituation Experience) package includes seeing chimpanzees that are in the process of being acquainted with the vicinity of people. As per sources from Uganda Wildlife Authority (UWA), the habituation process takes about two years. As tourism switches attractions, one can now be part of that process for one important day in the forest. Chances of seeing chimpanzees in the later past, stood at 20%, yet it has shot to 90% because of the habituation process. An early breakfast and packed lunch might as well set you off for the chimpanzee tracking that start before day break softens up the forest. A park guide takes you on the strolls and can even shows to you where a chimpanzee built a night the prior night. The park guides identify the chimpanzee family to be gone by for the rest of the day. If you have a Polaroid, you will be encouraged to keep the flash off when shooting. The treat is a charming experience. Prepare however for the rough and tough as you need to stalk them fast enough to keep them in sight. Chimps live in family of 10 to 100 members. They babysit one another’s young, kiss, groom each other and even hold hands. The young chimps come to be independent at the age of four. Nonetheless, they could be aggressive and unsociable, if exasperates. Despite the fact that they spend some time on the ground, they feed sustain and do make their sleeping nests up in the trees. Their diet contains leaves, seeds, fruits and flowers. Each one of them has a physical identity. They too have scars obtained from their battles fought in life. The forest usually transforms into a show of loud gasp hoots in the morning and the mood dims when they are nesting at night. Their dramatic days end with them climbing into their homes for the night. The Chex packages likewise permits tourists to go with researchers and habituation team to interact with the chimpanzees throughout their every day activities. Tourists may come across the chimps de-settling (in their nocturnal nests) between 5:30am and 6:30am until they make new nests for the night, around 7:00pm. The habituation experience is best in the months of March, April, May and November, when there is less sightseer congestion. In a small group (a ranger plus a maximum of four people), you get much closer to the chimps than throughout chimp tracking in bigger groups. The experience costs $220 (sh572,000) for foreign non-residents, $150 (sh390,000) for foreign residents and $70 (sh182,000) for East Africans. In Uganda, there is a new tourism activity known as as Gorilla habituation. Currently, there are 3 gorilla families available for habituation experience in the southern sector known as Rushaga, and a maximum of 4 persons allowed on each gorilla group per day. In this case, you can book a 7 day gorilla safari package and do chimpanzee tracking and habituation experience in Kibale Forest, mountain gorilla tracking and habituation experience in southern Bwindi National park, its really a life time experience deep into the true African wilderness. Today, will all the required arrangements placed in Akagera National Pak in the eastern part of Rwanda along the Tanzanian boarder. Next month eight lions from Kenya are going to be introduced to this country to restore the world of lion ‘King of the Jungle’ in the country. Previously the lion populations inside and in areas surrounding the park where eliminated by cattle keepers attempting to protect their animals together with villagers scared of raids, poaching, frequently using poison and imposing a harsh death on these big cats. African Parks has improved the electric fence on Akagera National Park through adding on it height and also adding a base element to guarantee that the lions won’t be able to jump over the fence or try to crawl below it. 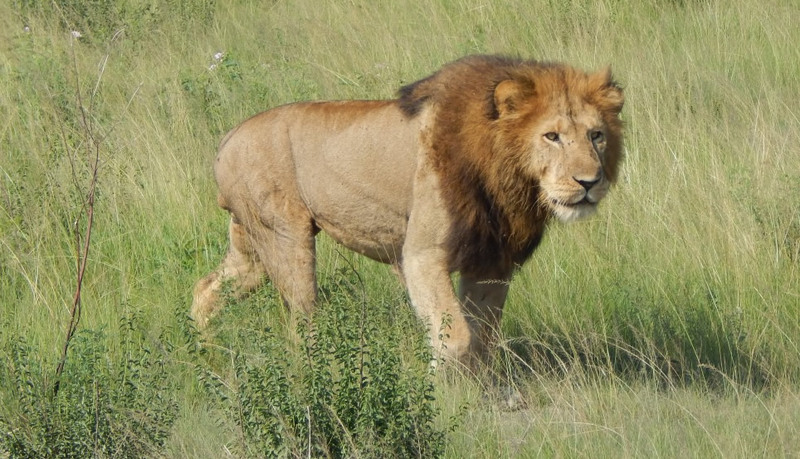 The return of these lions next month will offer visitors with the extra amazing attraction of being able to see at least 4 of the big 5 in the country with only the Rhino missing from the listing. Local partners in the Rwanda tourism industry in the Kigali passed on their thanks that the Kenyan Government which has authorized the Kenya Wildlife Services (KWS) to deliver the pride lions into Rwanda. They crediting this to the solid and friendly relationship between these two nations, that alongside Uganda a year prior shaped the “Coalition of the Willing” joined by common objectives to improve infrastructure, support trade, as well as collaborate closely on several other sectors such as security cooperation.